At the core of all our suffering is hatred. Whenever we hate something or someone, we suffer. Consider this. You are in a relationship. And then you break up. Till the break-up happened, you did not suffer. But now you do because you hate the sight, even thought, of that person for all the reasons you ascribe to the break-up. Or you go to a restaurant and order food, let us say a paneer tikka sizzler. And what you get is a chicken tikka sizzler. You eat a bit of it and want to throw up! You hate the restaurant, the chef, the owner, everyone! You suffer. 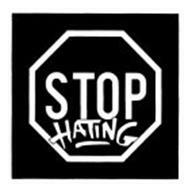 So to put an end to your sufferings from situations and people, you must stop hating__anyone and anything! Learn to treat each event dispassionately. Believe that things will and do happen. People will and do behave differently at different times. Such is the nature of Life. By hating people for who they are, over which you have no control, you are hurting yourself. By all means, express yourself. Choose not to put up with nonsense or behavior that you find despicable or even hate. But don’t hate the person. It is indeed possible to not hate a person and yet fight their action. This is what Gandhi taught us. He said, famously, “I do not hate the English. I just don’t like the way they rule my country!” The essence of this philosophy is that all Life is equal, that people will do things which you may not subscribe to. In each such situation, bring in understanding and compassion. Pour love into that situation, for your own peace, and so that you don’t suffer, refuse to hate the person causing that situation. And refuse to hate the situation either. Like Gandhi, go down to work on changing the situation. This is the true strength of your character, of your indomitable will. Doing this, each time you are oppressed, attacked, betrayed, or let down, means you are strong. Doing this, each time you are in a situation that you did not want or expect, means you are strong. Think about it. Do you have it in you? Try it. You will discover that you indeed do have it in you! Remember: Only when you stop hating, do you stop suffering!